This festival has been celebrating all things yellow and green since 1974 and it's all about "getting your daffy on" with a classic car parade, picnicking in 'Sconset Village and donning your best yellow and green ensemble! 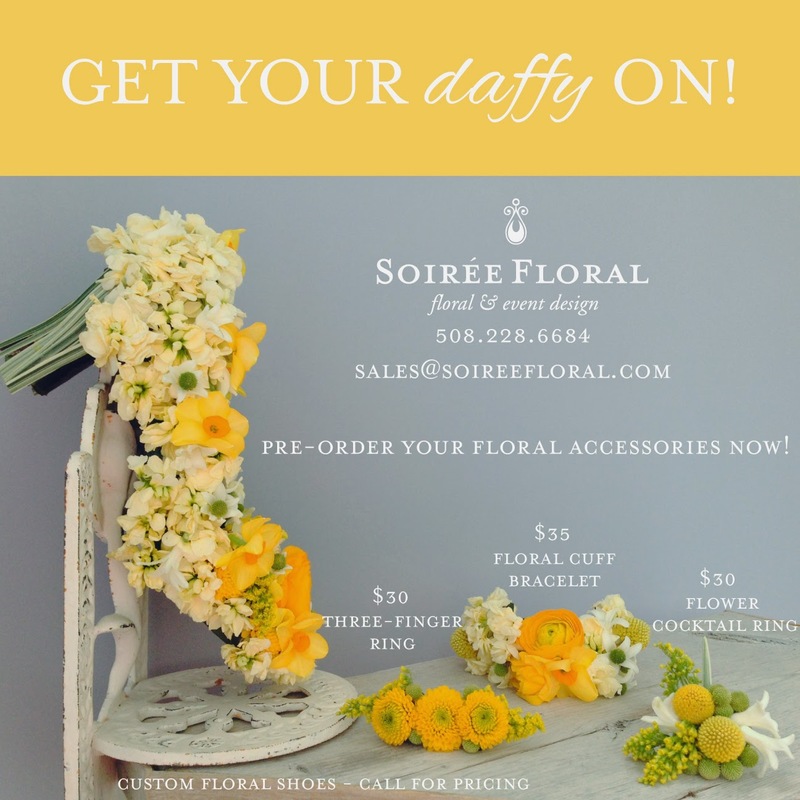 This year we're adding our own twist on Daffy style with our floral accessories! Handmade from real flowers, we're offering four options of wearable art! Call or email us your order! Orders must be placed by Noon on Friday, April 18th.